Alpine DLX-Z17PRO 6.5" DDLinear Proffesional Car Component S..
Alpine R-S65C R-Series 6.5 inch Component Car Speakers System 100W RMS GENERAL..
6.5" (16.5CM) COMPONENT 2 - WAY SPEAKER The New S-series with sleek and c.. 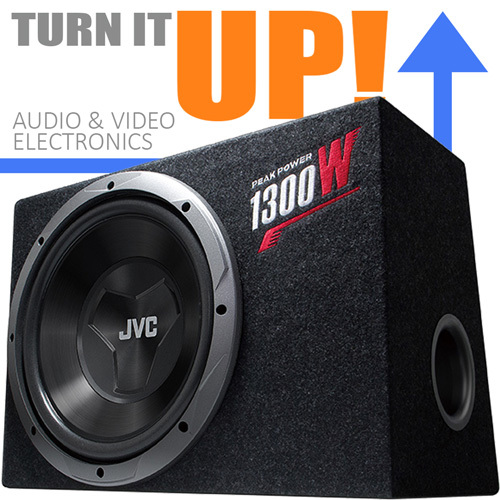 The Type-G Series of component and coaxial speakers are designed and built to ha..
Alpine SPJ-161CS Type-J 6” 2 Way Component Car Speakers 50W RMS The entry le..
Alpine SPS-610C Type-S 6.5” 2 way Component Car Speakers 80W RMS The compone.. The greatest audiophile New X-Series speakers are available in 2 ways Comp..
DB Drive Euphoria ES1 65C 6.5" Component Speaker System 65W RMS FEATURES6.5..
DB Drive Euphoria ES3 6C 6.5" Component Speaker System 75W RMS PRODUCT DESCR..
DB DRIVE ES5 6C 6.5” CAR COMPONENT SPEAKER 190WATTS Dynamics Power Han PROD..
6-1/2″ (165MM) TWO-WAY COMPONENT KIT This car audio ..
Focal Expert PS-165V1 6.5" 2-Way Component Car Speakers 80W RMS PS165V1 .. Audio SpecificationsFrequency Response: 45Hz-35kHzNominal Impedance: 2 OhmSensit..
General SpecificationsPower Handling: 100 RMS, 400W peakSensitivity (@ 2.83V): 9..
SpecificationsSpeaker Size: 6.5"Type: 2-Way Component Speaker SystemPeak Power: .. Audio SpecificationsType: 6-1/2" component car audio loudspeaker systemPeak powe..
General SpecificationsSize: 6.5"Type: Two-Way Component SystemAudio Specificatio.. Frequency Response: 50Hz – 20kHzImpedance (ohms): 4 ohmsSensitivity (@ 2.83V): 9..
Kenwood KFC-E715P 6.5 inch Component Speakers 30W RMS Neodymium Magnet Feature..
KENWOOD KFC-M614P 6-1/2 inch Component Speakers 65W RMS Sof..
KENWOOD KFC-XS1703 Hi-Resolution Audio Certified 17cm Component Car Speakers..
Upsize Your Sound With Powerful A-Series! The main highlight of the new A..
Pioneer TS-D65C 6.5" (16.5cm) D Series 2-way Component Car Speakers for 90W G..
Pioneer TS-Z65C 6.5" (16.5cm) 2-way Hi-res Audio Component Car Speakers for 100W..
Pioneer TS-Z65CH 6.5" (16.5cm) 2-way Hi-res Audio Component Car Speakers for 100..
SOUNDSTREAM RX.65C 6.5" 2 Way Component Car Speakers 50W RMS..